When the Icelandic volcano erupted and interrupted the air traffic in Europe, there were stories of extraordinary length travellers took to reach their destination. I've kept this plot idea and drafted a NB last week. Happy reading! It's unbeta'd. “What do you mean by we can’t take off?” Darcy raised his voice. He was fed up with the delay. He had been stuck in the airport in Athens for two days. He needed to be back in London as soon as possible. But not just his jet was grounded, other commercial airlines were standing still as well. And there were thousands of people in the terminal. 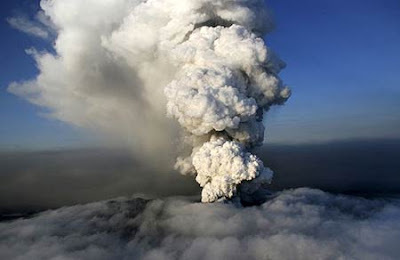 “It’s the volcanic ash from Iceland. The air safety authority expects it will last for another four to five days.” The pilot explained. This was crazy, Darcy thought. But with a curt nod, he grabbed his hand luggage and went outside. There were angry people everywhere and the taxis were driving off like hot cakes. The cars were gone in a flash, fully packed. He saw a few of them with six people in them. It seemed most of the drivers try to get as much money from as many people as possible. Darcy would pay a fortune, just to be alone. He didn’t want to share the hundred miles of journey in polite chitchat with four strangers. The young girl looked at him and the other protesting travelers with glittering eyes. “Show me the money. And I need the return fare too.” She replied in perfect English, not a trace of Greek accent. How strange! An English rose driving a taxi in Greece? Darcy normally didn’t have so much money with him. Luckily Mrs. Reynolds reminded him to take cash out before he left the hotel early this morning, in case of emergency amid the air traffic chaos. He flashed his wallet, pulled out 500 euro notes and gave them to her, as down payment. “Hey love, I need to get to Rome so I’m on the same way. I’d pay you 500 too.” Another tourist with sweaty hair and many pieces of luggage yelled and tried to get into the taxi behind Darcy. “Sorry, less people, less weight and less fuel,” she said. With less than gentlemanlike manner, Darcy elbowed the man accidentally and closed the door with a slam, as the taxi sped away. “We will take the ferry to Italy.” The driver said, after a short while. She looked into the rear mirror at Darcy and shrugged. Then she switched on the music. Michael Buble. I linked over to read the rest and then had trouble finding my way back! You really have the greatest imagination. You continue to envision new ways for the two of them to meet! Thanks Helen for reading. Hmm, my linkage at the end of the story was to another blog. That's why.